Those lamenting the end of the 2016 Utah Arts Festival should check out the upcoming Great Salt Lake Fringe festival for even more original artistic endeavors. The multi-day performing arts festival kicks off this Friday for a two week run. Held over two weekends (July 29th – August 7th) and at three locations in the heart of Sugar House, the festival aims to showcase unique performing artists. Shows involve theater, dance, music, aerial arts, puppetry, magic and spoken word; with a particular focus on accessible run times and rapid-fire pieces that require minimal technical setup. Unlike traditional theater, audiences can see multiple shows in a single evening. 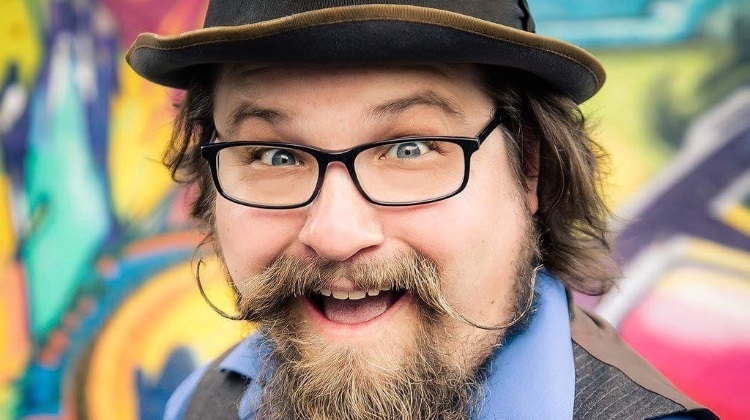 In an interview with The Utah Review, performer Andrew Nadon described the event for newcomers, “The Fringe is known as an independent performing artists festival. That isn’t to say that mainstream companies cannot participate, but it’s mainly for independent artists who don’t normally have access to a space to perform. It all started in Edinburgh, Scotland in 1947 where the largest Fringe festival in the world still operates. This is only Salt Lake’s second Fringe and I sincerely hope that it becomes a huge part of our culture in Utah. We have so many talented artists in our community and the Fringe gives them the resources they need to share their hard work. Nadon’s show is titled “A Positive Future In Mind”, and runs four times over the eight days of the Fringe. A full schedule of shows can be found online and tickets start at ten dollars, with discounts available for bulk buys. Artists involved in the Visual Fringe will not only be displaying their work but will also actively create art with party guests. “Performances by live painters and interactive caricature artists will be joined by food trucks, live music from the local band Daverse and a dance party,” Casillas adds.